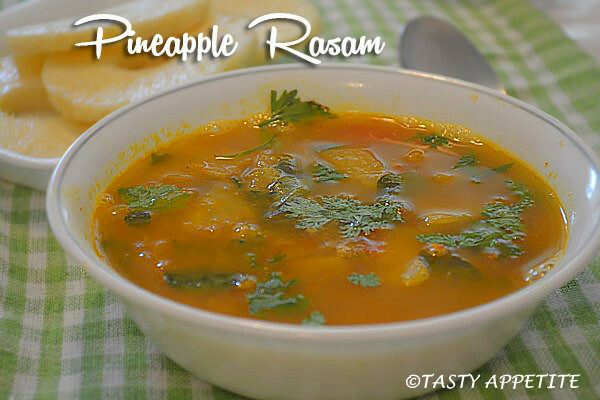 Pineapple Rasam is very special variety of rasam as it is absolutely unique by its flavor, aroma and taste. 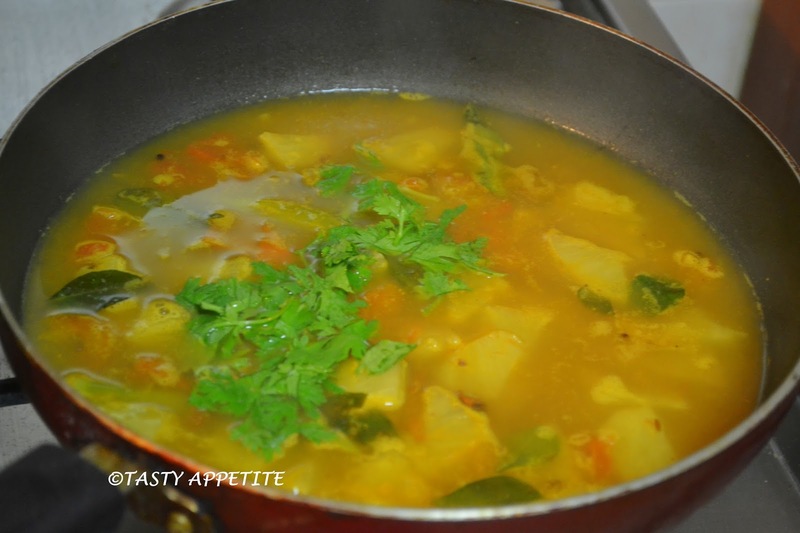 It is a hit recipe for wedding feasts in South India. It makes a nice variation from the regular rasams. In this recipe, the pineapple chunks are cooked along with tomato and other spices. It tastes yummy when..
served hot with white rice, pappad and any spicy curry. Also you can drink it as soup as it is. 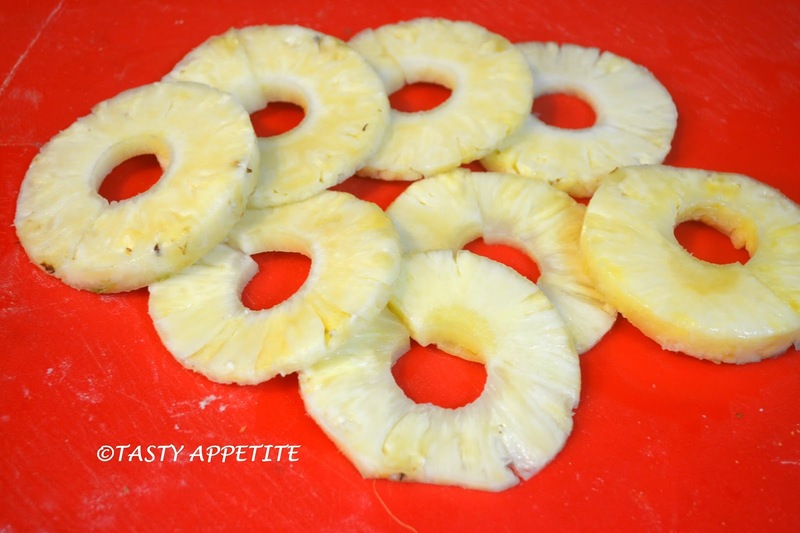 Wash the pineapple, remove the skin and slice to fine pieces. 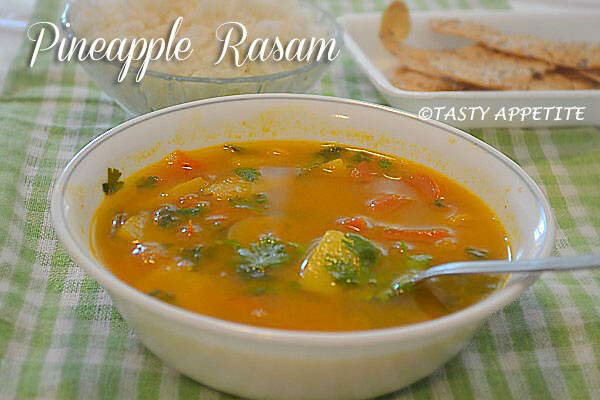 A pineapple that is sweet and tangy would be ideal for this rasam. Heat ghee in a frypan. Add mustard and allow to crackle. Add cumin, hing, split urad dal & curry leaves. Add sliced tomatoes and green chilly. Combine well with the seasonings. Continue sauting for a minute. Add 1 cup of water and cook covered in low medium flame for 5 mins. Simmer till the pineapple chunks are soft. Add 1 more cup or enough water to adjust the consistency according to your preference. Add turmeric pwd, salt and mix. 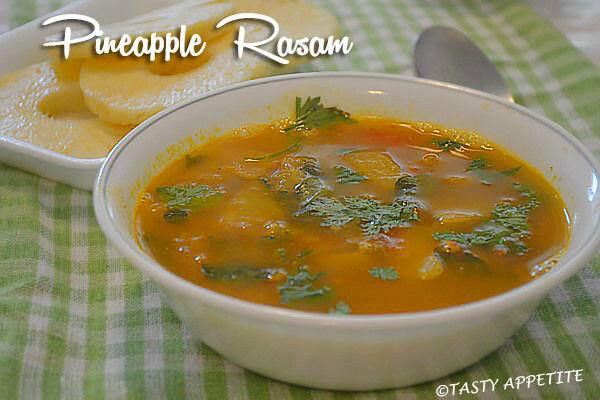 Tasty delicious PIneapple Rasam is ready. Cover with a lid and let the flavors infuse. Enjoy hot with rice, pappad and aloo roast. 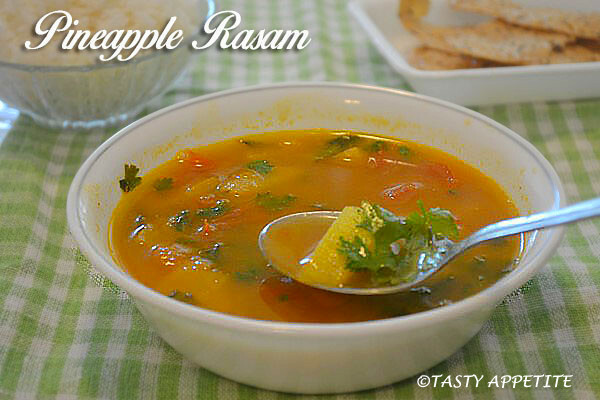 Delicious pineapple rasam, lipsmacking good. Love this fruit rasam to the core. love to have this rasam.. 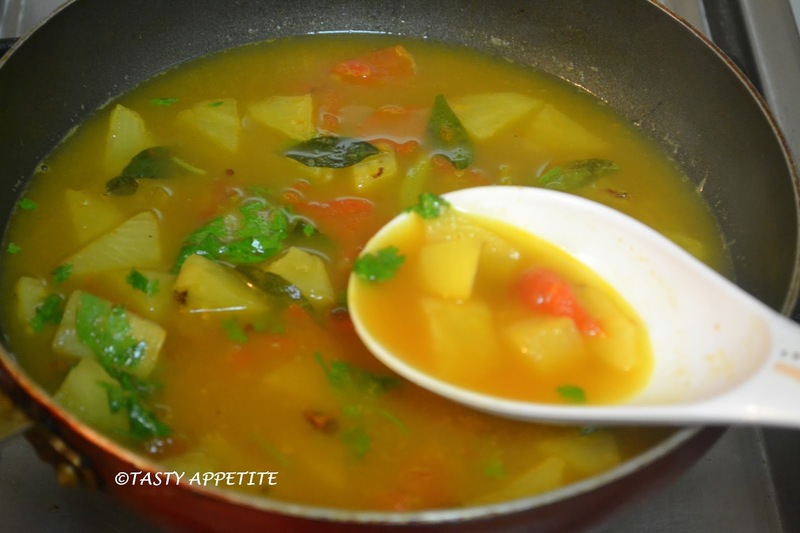 Delicious and colorful looking pineapple rasam . Never tried this kind. Thanks for posting.